11-14 Dodge Durango 5.7L Hemi Whipple Supercharger Kit WK-3100. 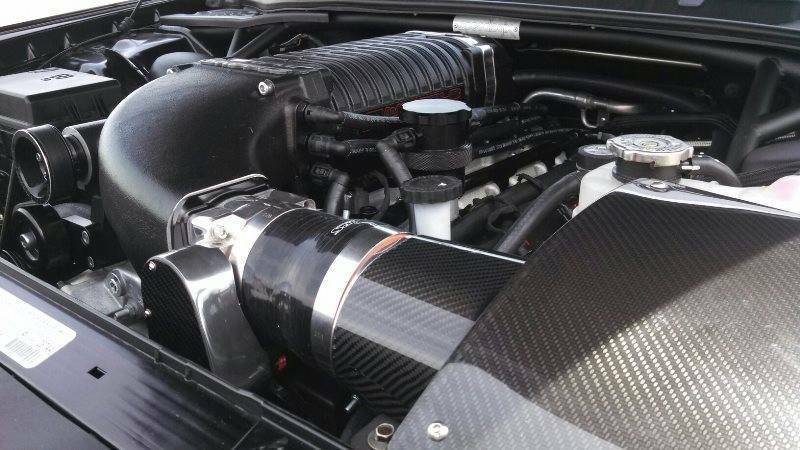 THE BIGGEST, THE BADDEST, MOST EFFICIENT, MOST POWERFUL SUPERCHARGER SYSTEM. 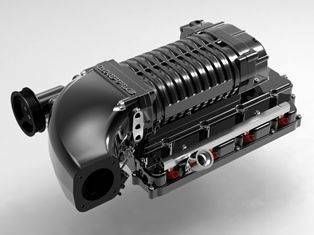 Since 1987, Whipple Superchargers have been the pioneers and leaders of twin-screw supercharging. Shipping: Built to order. Normally ships out in 7-10 business days. Since 1987, Whipple Superchargers ™ have been the pioneers and leaders of twin-screw supercharging. 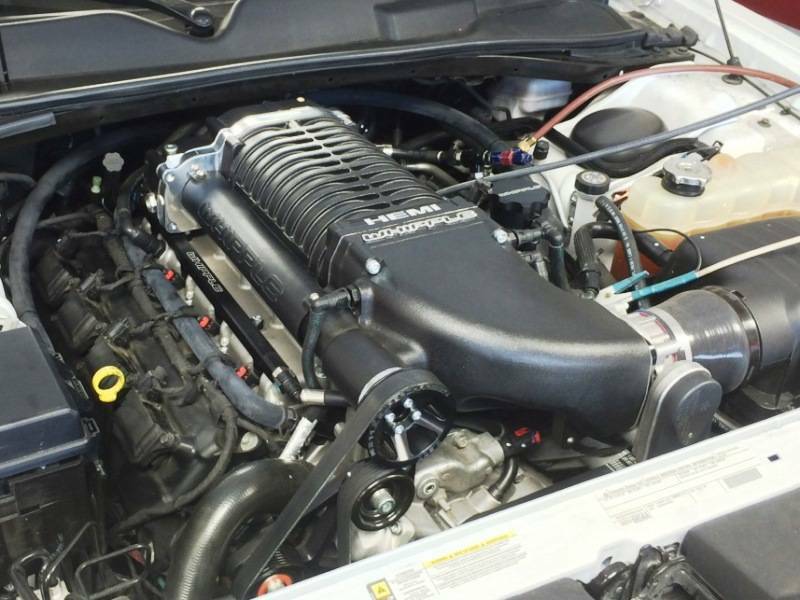 Whipple was the first to bring positive displacement technology to fuel injected, emissions legal GM applications. 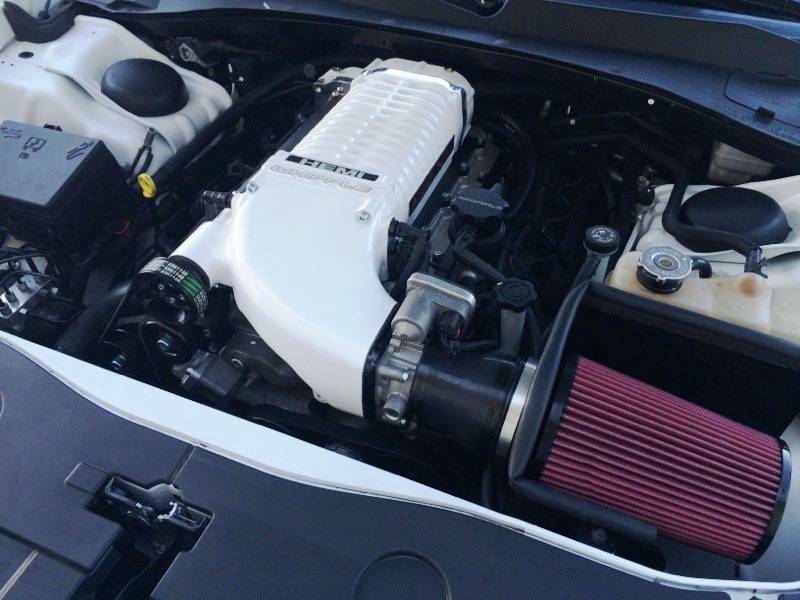 With over 26 years of twin-screw supercharging experience, Whipple’s team have now engineered the most powerful intercooled twin-screw SC system available today for your Dodge V8 engines. With all the latest technology, the all new Whipple system makes more power than any other positive displacement supercharger system on the market giving you tire frying, neck whipping power that will give you a grin from ear to ear. The new Whipple system is 100% complete and is designed for stock engines but has enough capability to work with heavily modified engines. The all-new system features Whipple’s massive oversized air-to-water intercooler for unmatched cooling capacity, a unique front feed W175ax (a whopping 2.9 liters) integrated Whipple twin-screw supercharger that reaches 99% volumetric efficiency and industry leading power potential. The unique intercooled bypass system offers better acceleration and less than 1hp of consumption during cruising for excellent fuel economy. 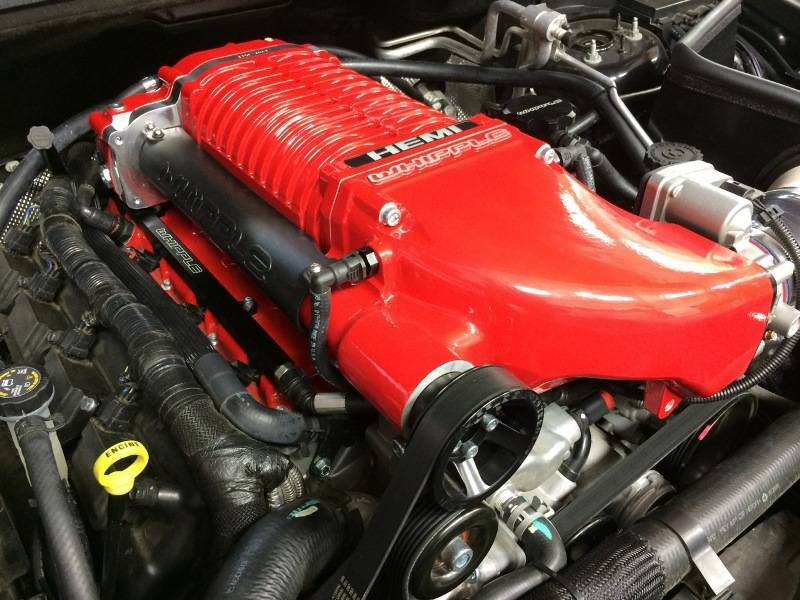 The system also includes high-flow fuel injectors, aluminum high flow intake manifold and a Whipple Power Flash Programmer from Diablo ™ for the factory ECU recalibration. While others claim, Whipple Superchargers simply deliver more power per pound of boost than any other supercharger on the market today. Shipping Remarks: Built to order. Normally ships out in 7-10 business days.